Super WHY Live the top-rated show on PBS KIDS from Out of the Blue Enterprises is on tour for the first time ever and tickets are on sale now! They are coming to Tampa on the 28th of July! I know my kids are beyond excited to see Super WHY Live as am I.
Super WHY Live vibrantly brings to life Super Why, Alpha Pig, Wonder Red, Princess Presto (my daughters favorite) and their puppy pal Woofster, who each take children on larger-than-life, imagination-stimulating adventures. With the help of you the audience, the characters embark on magical, out-of-this-world journeys to explore what they’ve always wanted to be – from a ship’s captain to a rock star and more! While singing, dancing and interacting with the characters on stage along the way, pint-sized fans (and parents, alike!) discover who really has the power to make dreams come true! Tickets are on sale now so be sure to visit www.superwhylive.com for more information and to buy tickets and the VIP “Meet & Greet” packages (Going to the Florida shows? Check below for a promo code to save on tickets). Super WHY Live adds a whole new exhilarating dimension to Super WHY and its power to entertain and inspire young children,” said Samantha Freeman Alpert, Co-Creator and Executive Producer of the series and Co-Founder of Out of the Blue Enterprises. “We’re so excited to extend the beloved series from the screen to the stage with this full-scale live production for families to enjoy together. Know the Score – Listen to the music from Super WHY Live: You’ve Got the Power! together, so children will already be familiar with it before the show – while moms and dads get a special kick out of knowing that the show features new music from Jack Antonoff of the chart-topping indie band “fun.”! Dress Rehearsal – Have your kids come dressed up as their favorite Super Reader! It’s a great way to get them into the spirit of Super WHY and to make them feel like they’re a part of the show! You’ve Got the Power! – Let your kids know this high-flying new show is all about having fun! Like the popular Super WHY TV series, Super WHY Live: You’ve Got the Power! encourages its young audience to shout-out their responses to the characters and dance and sing along with all the engaging action. No need for “inside voices” during this interactive production; part of the fun is learning as they play along! Super Readers! – Turn the experience into a super reading expedition! Show children the letters and numbers on their tickets before arriving and have them help identify the section, aisle and seat where you’ll be sitting. Play an “I Spy” spelling game until the show begins with familiar elements all around the theater (lights, curtains, seats, etc.). Curtain Call – Arrive early so preschoolers can take a “mini tour” of the venue – and don’t forget to visit the potty before the opening curtain! Snacks and naps ahead of time also are a “super” help for making a happy audience! Those that live in Florida Super WHY and the Super Readers will be making their stop in Tampa on July 28th and in Miami on July 29th. I have a special discount code for you, use code WHYATT to save $5 on tickets. 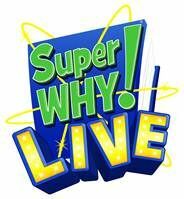 Visit www.superwhylive.com to sign up to get the latest tour news and announcements and also follow @superwhylive on Twitter.